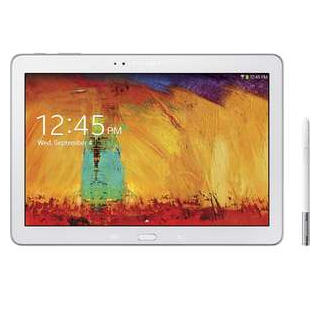 The impressive Samsung Galaxy Note 10.1 2014 Edition has gradually dropped in price in the time since its launch, but the 16GB option is still going for $479 new on Amazon. Today you can get a refurbished one off eBay for $339. That's nearly $150 less, enough to beg the question: How much is new really worth, anyway? We've seen refurbished versions of the tablet dip below $400 before, but this is a new low. And let's be honest, $339 isn't all that much money to ask for a device with a 2560x1600 LCD screen, a 1.9Ghz Exynos processor, 3GB of RAM, an 8MP rear camera, and a MicroSD card slot. These specs are also joined by the brand's usual stylus and Wacom digitizer. You can spend some time pondering the value if you need to, but you only have over 18 hours to do so before the deal is up. Here, maybe this will help - shipping's free.